Remington There are 18 products. 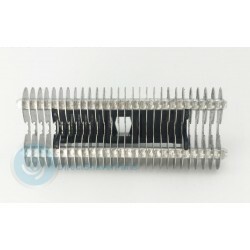 Quality replacement heads, foils, parts and accessories for your Remington F3790 Dual Flexing Foil Shaver. Dual Flex Foil rechargeable shaver with optimized blade cutting. 40 minutes of autonomy, status indicator light, integrated trimmer. Quality replacement heads, foils, cutters, parts and accessories for your Remington TF-100 electric shaver. Quality replacement heads, foils, parts and accessories for your Remington TF-200 electric shaver. Quality replacement heads, foils, parts and accessories for your Remington TF-300 electric shaver. 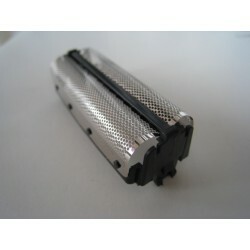 Quality replacement batteries, blades, heads, foils, parts and accessories for your Remington TF-400 electric shaver. Quality replacement heads, foils, parts and accessories for your Remington TF-600 electric shaver. Quality replacement heads, foils, parts and accessories for your Remington TF-700 electric shaver. Quality replacement heads, foils, parts and accessories for your Remington XLR3000 electric shaver. Quality replacement heads, foils, parts and accessories for your Remington XLR1110 electric shaver. Quality replacement heads, foils, parts and accessories for your Remington XLR1100 electric shaver. Quality replacement heads, foils, parts and accessories for your Remington XLR1000 electric shaver. Quality replacement heads, foils, parts and accessories for your Remington XLR930 electric shaver. Quality replacement heads, foils, parts and accessories for your Remington XLR900 electric shaver. Quality replacement heads, foils, parts and accessories for your Remington XLR810 electric shaver. Quality replacement heads, foils, parts and accessories for your Remington XLR800 electric shaver. Quality replacement heads, foils, parts and accessories for your Remington XLR710 electric shaver. Quality replacement heads, foils, parts and accessories for your Remington XLR700 electric shaver. Quality replacement heads, foils, parts and accessories for your Remington XLR500 electric shaver. Quality replacement heads, foils, parts and accessories for your Remington XLR380 electric shaver. Quality replacement heads, foils, parts and accessories for your Remington ULT1 electric shaver. Quality replacement heads, foils, parts and accessories for your Remington ULT2 electric shaver. Quality replacement heads, foils, parts and accessories for your Remington ULT3 electric shaver. Quality replacement heads, foils, parts and accessories for your Remington ULT4 electric shaver. Quality replacement heads, foils, parts and accessories for your Remington ULT5 electric shaver. Quality replacement heads, foils, parts and accessories for your Remington XLR2500 electric shaver. Quality replacement heads, foils, parts and accessories for your Remington XLR2000 electric shaver. Quality replacement heads, foils, parts and accessories for your Remington XLR1010 electric shaver. Quality replacement heads, foils, parts and accessories for your Remington XLR920 electric shaver. Quality replacement heads, foils, parts and accessories for your Remington MM300 electric shaver. Quality replacement heads, foils, parts and accessories for your Remington 8MF1D electric shaver. Quality replacement heads, foils, parts and accessories for your Remington 6MF1D electric shaver. Quality replacement heads, foils, parts and accessories for your Remington 5BF1D electric shaver. Quality replacement heads, foils, parts and accessories for your Remington 9BF21C electric shaver. Quality replacement heads, foils, parts and accessories for your Remington 8BF21C electric shaver. Quality replacement heads, foils, parts and accessories for your Remington 5DCF2 electric shaver. Quality replacement heads, foils, parts and accessories for your Remington Elite electric shaver. Quality replacement heads, foils, parts and accessories for your Remington F7800 electric shaver. 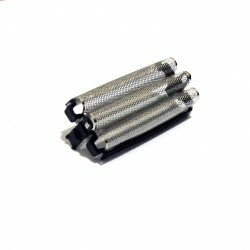 Quality replacement heads, foils, parts and accessories for your Remington F7805 Titanium-X Foil Shaver. The Remington F7805 is a rechargeable shaver with a dual foil shaving head. 2 hour charge gives 60 minutes of run time. Washable, automatic voltage adjustment. Quality replacement heads, foils, parts and accessories for your Remington F5800 electric shaver. Quality replacement heads, foils, parts and accessories for your Remington MS2-491 electric shaver. Quality replacement heads, foils, parts and accessories for your Remington MS2-492 electric shaver. Quality replacement heads, foils, parts and accessories for your Remington MS1551 electric shaver. Quality replacement heads, foils, parts and accessories for your Remington WDF1000 electric shaver. Quality replacement heads, foils, parts and accessories for your Remington WDF1100 electric shaver. Quality replacement heads, foils, parts and accessories for your Remington WDF1150 electric shaver. Quality replacement heads, foils, parts and accessories for your Remington WDF1250 electric shaver. Quality replacement heads, foils, parts and accessories for your Remington WDF1500 electric shaver. Quality replacement heads, foils, parts and accessories for your Remington WDF3000 electric shaver. Quality replacement heads, foils, parts and accessories for your Remington MS2491 electric shaver. Quality replacement heads, foils, parts and accessories for your Remington MS2492 electric shaver. 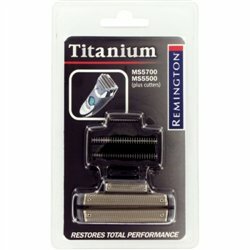 Quality replacement heads, foils, parts and accessories for your Remington titanium MS-5500 shaver. Rechargeable shaver with Micro-screen shaver foil, Titanium blades and hair trimmer. 1 Hour of shaving time. Quality replacement heads, foils, parts and accessories for your Remington MS5700 electric shaver. Quality replacement heads, foils, parts and accessories for your Remington RS4883 electric shaver. Quality replacement heads, foils, parts and accessories for your Remington RS4863 electric shaver. Quality replacement heads, foils, parts and accessories for your Remington RS4843 electric shaver. Quality replacement heads, foils, parts and accessories for your Remington RS4623 electric shaver. Quality replacement heads, foils, parts and accessories for your Remington RS4400 electric shaver. Quality replacement heads, foils, parts and accessories for your Remington MS2300 electric shaver. Quality replacement heads, foils, parts and accessories for your Remington MS2200 electric shaver. Quality replacement heads, foils, parts and accessories for your Remington MS2100 electric shaver. Quality replacement heads, foils, parts and accessories for your Remington MS2270 electric shaver. Quality replacement heads, foils, parts and accessories for your Remington MS2370 electric shaver. Quality replacement heads, foils, parts and accessories for your Remington MS2390 electric shaver. Quality replacement heads, foils, parts and accessories for your Remington MS2290 electric shaver. Quality replacement heads, foils, parts and accessories for your Remington F4790 electric shaver. Quality replacement heads, foils, parts and accessories for your Remington F7790 electric shaver. Quality replacement heads, foils, parts and accessories for your Remington F6790 electric shaver. Quality replacement heads, foils, parts and accessories for your Remington R4150 electric shaver. Quality replacement heads, foils, parts and accessories for your Remington R6130 electric shaver. Quality replacement heads, foils, parts and accessories for your Remington R6150 electric shaver. Quality replacement heads, foils, parts and accessories for your Remington R7130 electric shaver. Quality replacement heads, foils, parts and accessories for your Remington R7150 electric shaver. Quality replacement heads, foils, parts and accessories for your Remington F5590 electric shaver. Quality replacement heads, foils, parts and accessories for your Remington F5790 electric shaver. Quality replacement heads, foils, parts and accessories for your Remington F4800 electric shaver. Quality replacement heads, foils, parts and accessories for your Remington F710 electric shaver. Quality replacement heads, foils, parts and accessories for your Remington F720 electric shaver. Quality replacement heads, foils, parts and accessories for your Remington MD6775 electric shaver. Quality replacement heads, foils, parts and accessories for your Remington MD6777 electric shaver. Quality replacement heads, foils, parts and accessories for your Remington MS2190 electric shaver. Quality replacement heads, foils, parts and accessories for your Remington RS4 electric shaver. Quality replacement heads, foils, parts and accessories for your Remington RS6720 electric shaver. Quality replacement heads, foils, parts and accessories for your Remington RS6930 electric shaver. Quality replacement heads, foils, parts and accessories for your Remington RS6943 electric shaver. Quality replacement heads, foils, parts and accessories for your Remington RS6963 electric shaver. Quality replacement heads, foils, parts and accessories for your Remington RS6964 electric shaver. Quality replacement heads, foils, parts and accessories for your Remington RS7832 electric shaver. Quality replacement heads, foils, parts and accessories for your Remington RS7868 electric shaver. 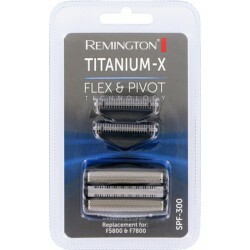 Remington Titanium-X Flex & Pivot SPF300 genuine Combi Pack - Foil and Cutter Fits Remington F7805, F7800, F5800 Original replacement manufactured by Remington. For more information visit the official website. 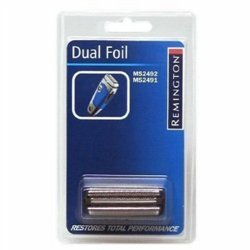 Remington SP250 genuine Cleanshave Foil Fits Remington MS1551 Original replacement manufactured by Remington. Remington SP85 Dual Foil genuine replacement Compatible with: Remington - MS2492 / MS2491 / TCM 234633 Imetec - Udo Walz MS1 100 / 1708 Carrera - 8113233, 8113231, 8113236 / Xenic 9675 Original replacement manufactured by Remington. Remington Titanium SP-96 genuine Combi Pack - Foil and Cutter Fits Remington MS-5000, MS-5100, MS-5200, MS-5500, MS-6000, MS-5700 Original replacement manufactured by Remington. For more information visit the official website. 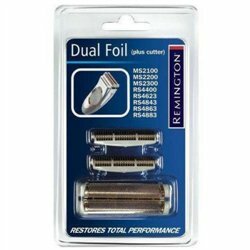 Remington series RS4 / MS2 Dual Foil genuine Combi Pack SP-69 - Contains Foil (RBL5002) and Cutter (RBL5003) Fits Remington MS2-300, MS2-200, MS2-100, MS2-270, MS2-370, MS2-390 MS2-100, MS2-200, MS2-290, MS2-300, RS4883, RS4863, RS4843, RS4623, RS4400 Original replacement manufactured by Remington. For more information visit the official website. 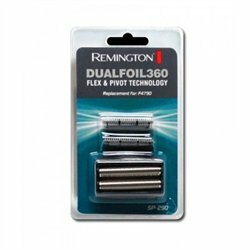 Remington Pivot and Flex Foil Technology genuine Combi Pack SP-290 - Contains Foil and Cutter Fits Remington F3900, F3900DS, F4790, F4790XLP, F4790CS Original replacement manufactured by Remington. For more information visit the official website. 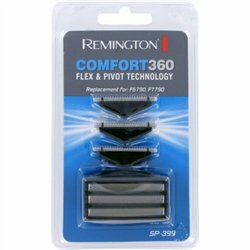 Remington Comfort360 genuine Combi Pack SP-399 - Contains Foil and Cutter Fits Remington F6790, F7790 Original replacement manufactured by Remington. 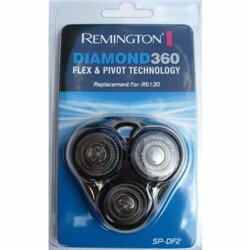 Remington (Pack of 3) Diamond360 Shaving Heads: SP-DF2 Fits Remington R-6130, R-6150, R-7130, R-7150, R-7155, R-4150 Original replacement manufactured by Remington.